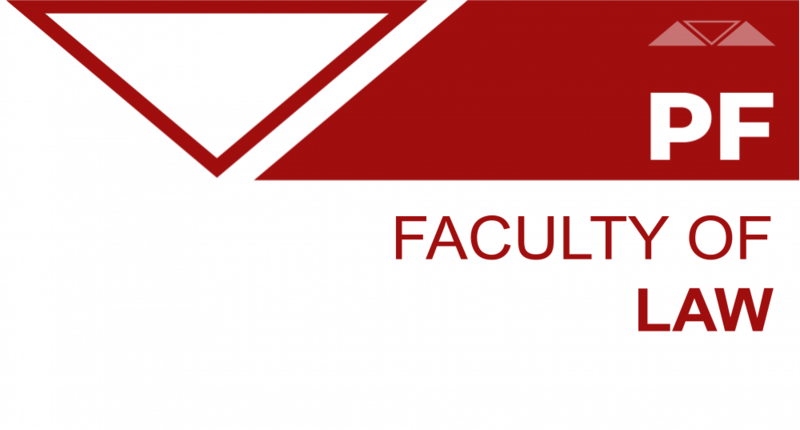 The Faculty of Law has started the second decade of its existence and successful work. It has been accredited for all levels of studies – undergraduate, master and doctoral. Besides, it has been accredited for distance learning as well. This way of studying has enabled the realization of the study program of undergraduate studies – Public Administration. In March 2018, the Faculty was accredited for the realization of the program of professional development of employees in local government bodies. Upon graduation, a student gets the degree Bachelor of Law (LL.B). Acquired knowledge enables them to be able to independently and successfully perform legal, security, civil and other tasks. In the meantime, thousands of students graduated from the Faculty of Law. Many of them have the most responsible positions in state and provincial bodies, local government bodies, banks, economic and other organizations, both in the country and abroad. There are also those who have opted for a lawyer’s call, for work in courts, prosecutors’ offices, attorneys’ offices or notaries public. Most graduates get suitable jobs relatively quickly, which is the best confirmation of their responsible attitude towards work and work responsibilities. Study programs at the Faculty are constantly reviewed, changed and adapted to the needs and demand of the labor market, in accordance with the law. Therefore, in 2016, the Faculty opted for the innovation of the existing study programs and their joining into a single study program, with classic legal courses that exist in study programs of state faculties of law in the Republic of Serbia. In the first and second years of studies, classes are held according to a unique, innovative study program, adopted in 2016. As a result, courses in these years of studies are the same for all students. The choice for appropriate module is made in the third year of studies. Students choose one of the three modules. They are: public law, legal and criminal law and security. They differ only in elective courses. Compulsory courses are the same in the third and fourth years of studies, regardless of the chosen module. With such an approach, conditions have been created for studying all legal courses necessary for taking a bar examination, in accordance with the law. We take care of every student at the Faculty. Everyday communication with professors and teaching assistants is enabled. The results of studying are monitored throughout the year, which contributes to a more complete consideration of curricular and extracurricular activities and more objective assessment of the acquired knowledge and skills. These are the issues that the teaching staff are most dedicated to. It has always been the case and it will be in the future. The study program Law prepares students for traditional legal professions, including work in courts, prosecutors’ offices, bar associations, public administration, local government, economic and insurance companies and the security sector. Completing the module Security, students acquire rights to perform legal and security duties and the ability to be employed in military, police, security and other relevant services and institutions. The study program ‘Public Administration’ enables distance learning for recognizable legal professions in public administration, local government, public sector, administration of economic and insurance companies, political organizations, citizens’ associations, non-governmental sector, media, international organizations and other institutions. The study program of doctoral academic studies ‘Law, Public Administration and Security’ lasts three years – six semesters. The study program includes two compulsory and three elective courses from the elective module and special scientific area to which the topic of the doctoral dissertation is related, as well as independent scientific-research work whose final result is writing and presenting doctoral dissertation as the original scientific work of a candidate.